This is a photo essay to accompany my article published on Contributoria in June. The article is called “The ivory burn that almost was“. It discusses Malawi’s announcement that it would burn its ivory stockpile in April 2015, its subsequent decision to postpone the burn, the ongoing elephant poaching crisis, and how the media’s sensational valuation of government stockpiles is confusing the public discourse on wildlife crime. The article and photos are available to be licensed for further use, so please get in touch if you’re interested! 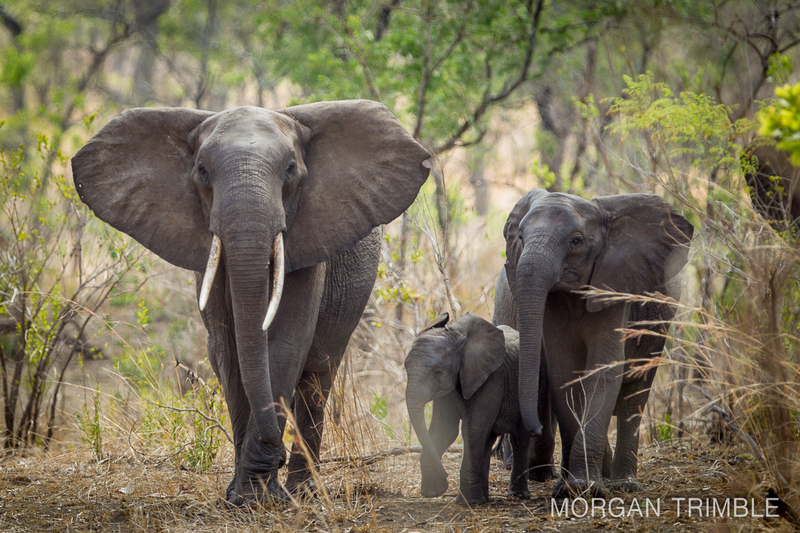 Elephant poaching has once again reached crisis level in Africa. Conservative estimates say poachers are killing more than 20,000 elephants per year across the continent. This elephant is relatively safe in Malawi’s well-protected Majete Wildlife Reserve, but other reserves in Malawi like Kasungu aren’t fairing as well. 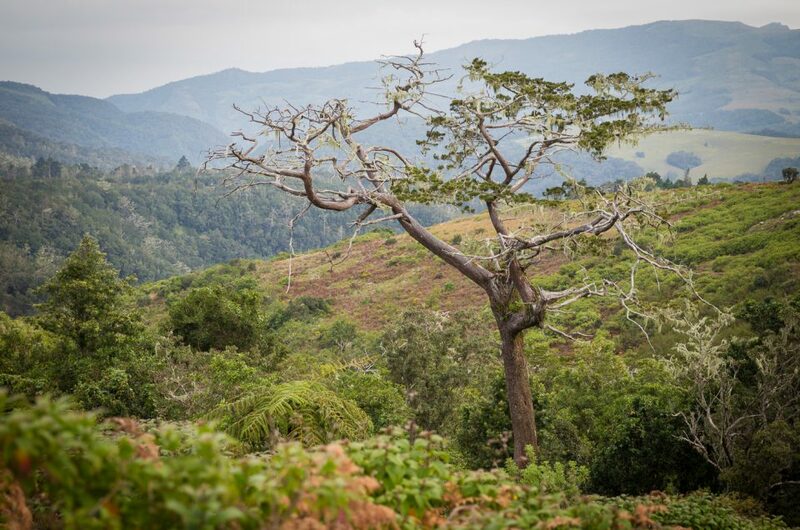 Kasungu had 2000 elephants in the 1980s but now has just 40. 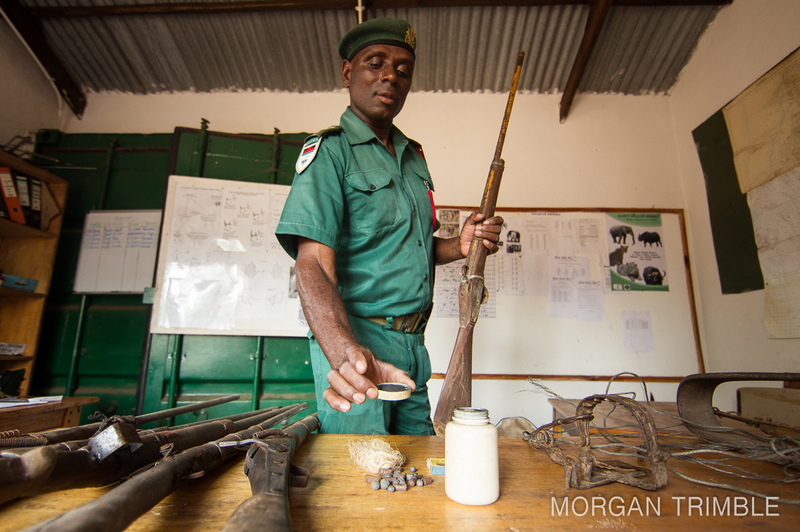 Small-scale poachers use weapons like these homemade muzzle loaders confiscated in Majete Wildlife Reserve, but poaching is increasingly militarized in Africa. Demand in Asia has exploded, largely in response to a growing Chinese middle class with disposable income and an appetite for ivory products. 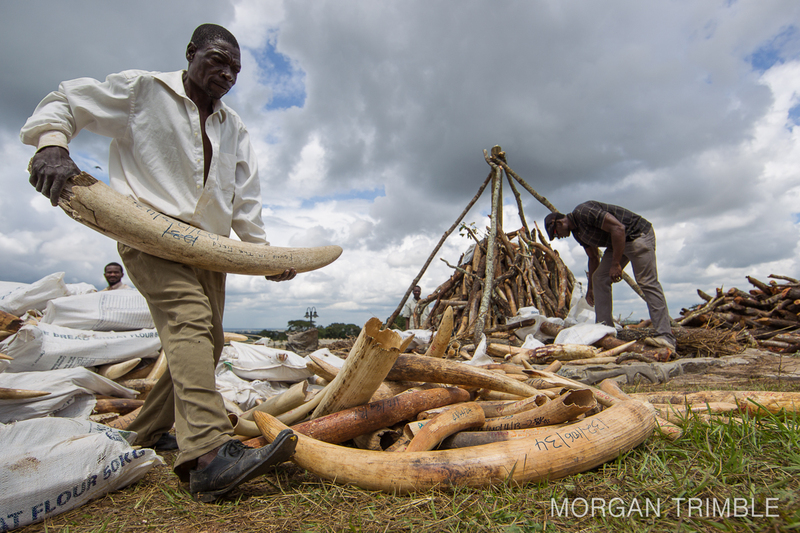 Transnational criminal syndicates illegally traffic ivory from Africa to support the demand. Malawi announced it would burn its four-ton ivory stockpile on April 2nd as the highlight of its World Wildlife Day celebration. Department of National Parks and Wildlife (DNPW) worked with the Lilongwe Wildlife Trust to organize the event. 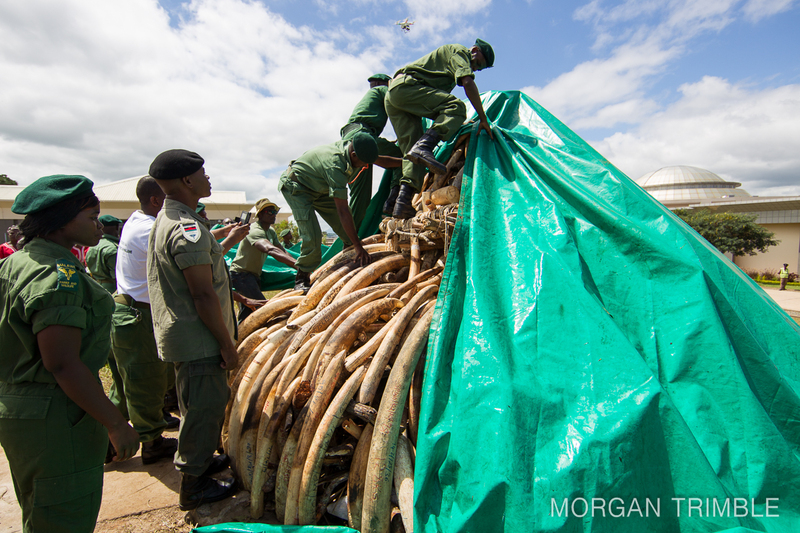 Under careful watch of international observers, the ivory was transported to parliament on April 1st and piled up in preparation for the bonfire. 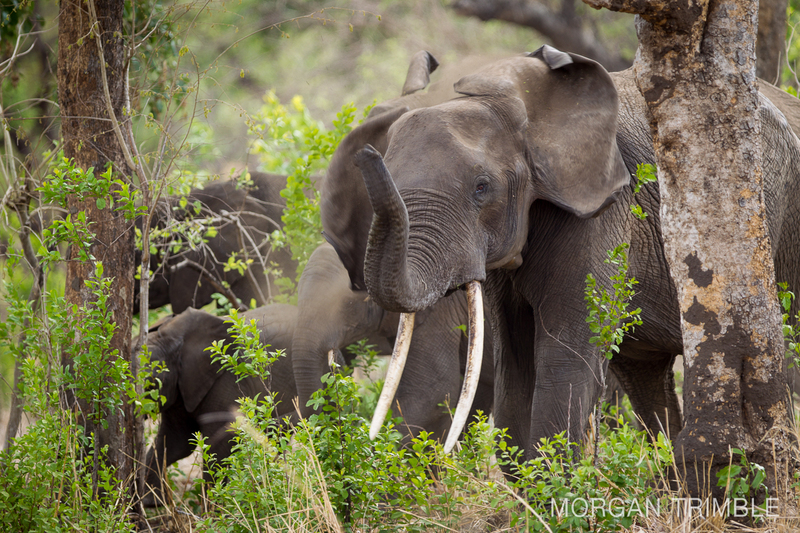 CITES banned international trade in ivory in 1989. 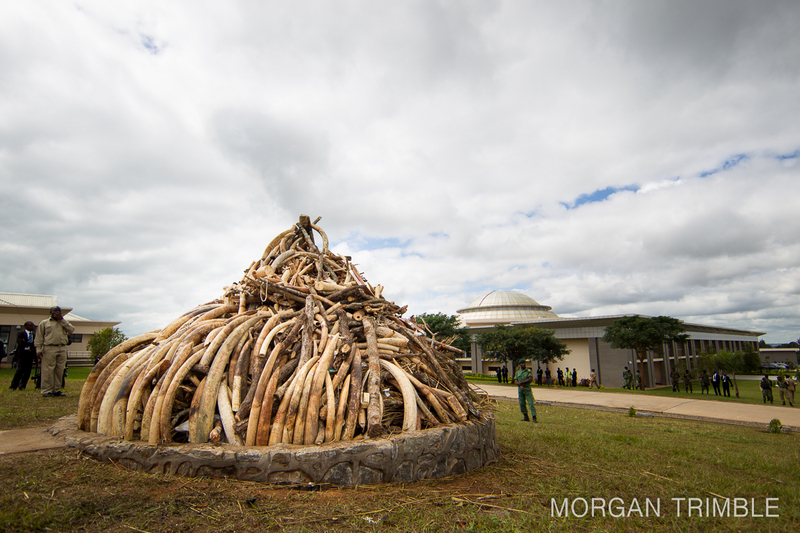 The ivory to be burned at parliament represented mostly seized illegal ivory. Traffickers use Malawi as a trade route due to previously lax enforcement and paltry sentencing. Their recent report on illegal wildlife trade stated that no one has so far gone to prison for wildlife crime in Malawi and the average fine for ivory trafficking is just $40. The ivory burn was to satisfy the requirement in the recently signed Elephant Protection Initiative to put ivory stockpiles beyond economic use. 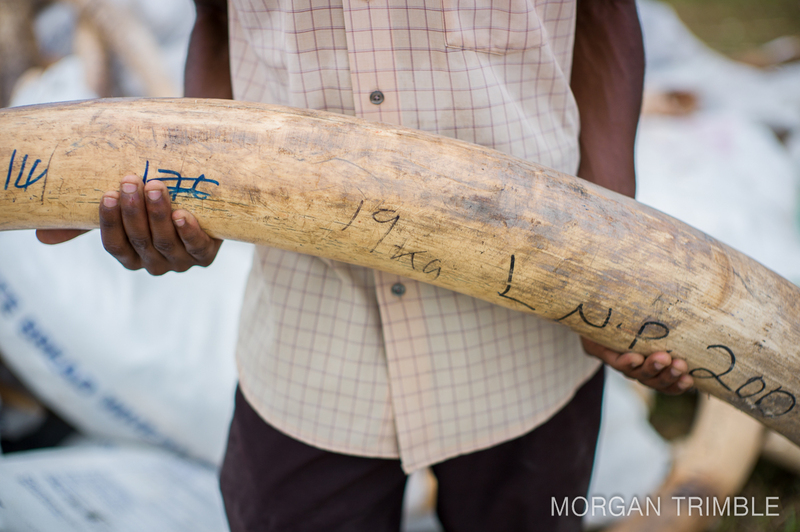 Stockpiles are a temptation for criminals and corrupt officials to launder ivory. Malawi also aims to get tough on wildlife crime. On the eve of the event, the government issued a press release stating that the burn had been canceled. They became aware of an additional 2.6 tons involved in a court case and they would wait for the conclusion of the case so that they could burn all 6.6 tons together later. 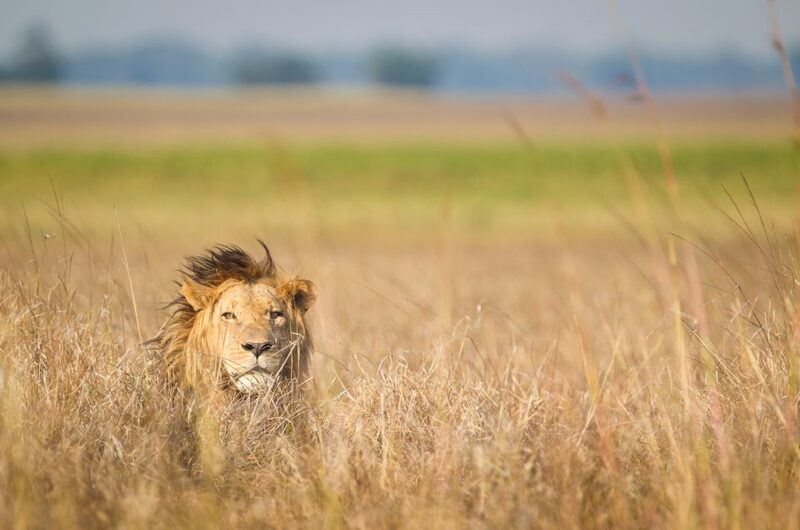 The World Wildlife Day parade went ahead as planned. 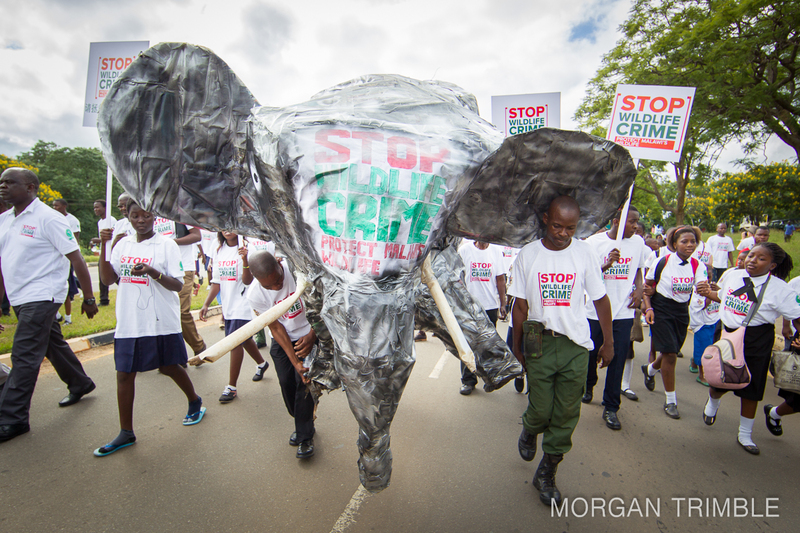 The parade included an impressive turn out, all wearing shirts supporting the “Stop Wildlife Crime” campaign. 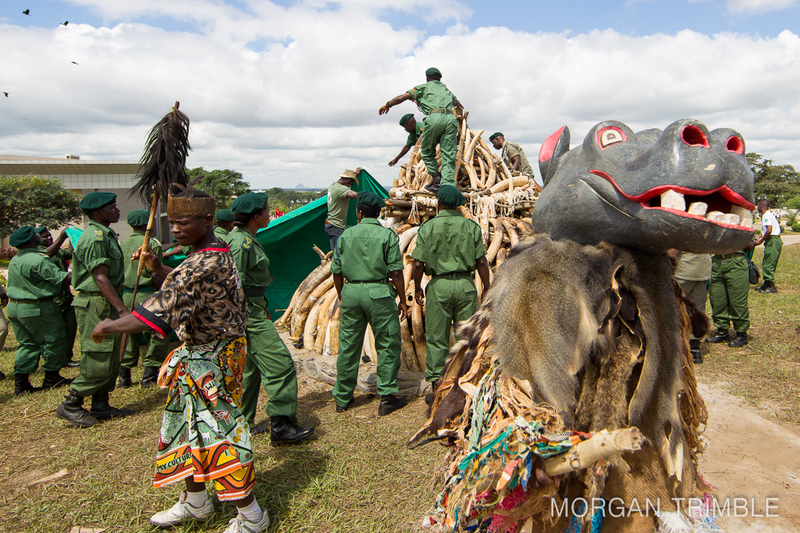 Marchers carried a model elephant and a model ivory burn, the only ivory burn for the day. 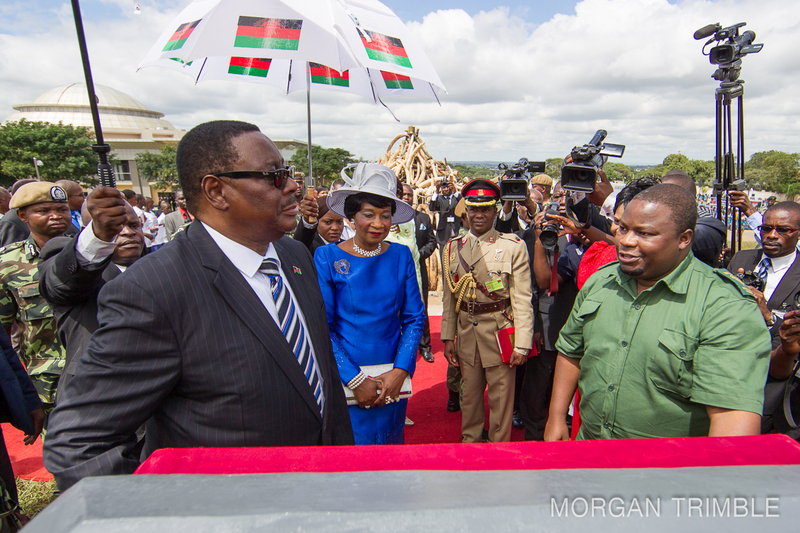 Malawi’s president, His Excellency Professor Peter Mutharika was originally supposed to set fire to the ivory pile with a flaming silver baton. 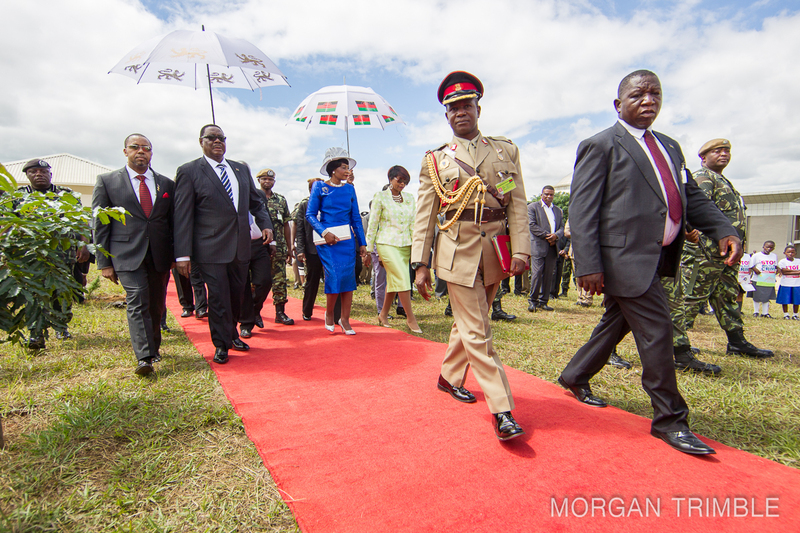 He walked the red carpet to accept a petition on wildlife crime, ceremonially plant Malawi’s critically endangered national tree, and unveil a plaque denouncing wildlife crime. 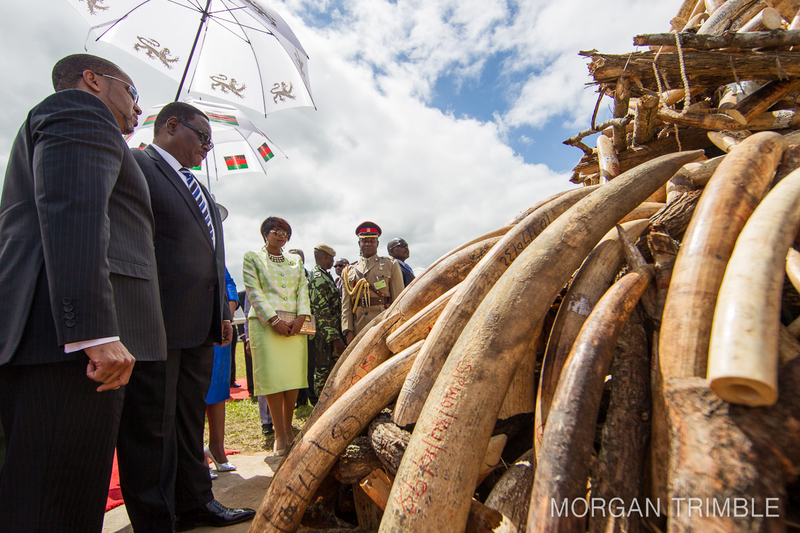 Malawi’s President, Peter Mutharika contemplated the four-ton stack of ivory but didn’t set it on fire. 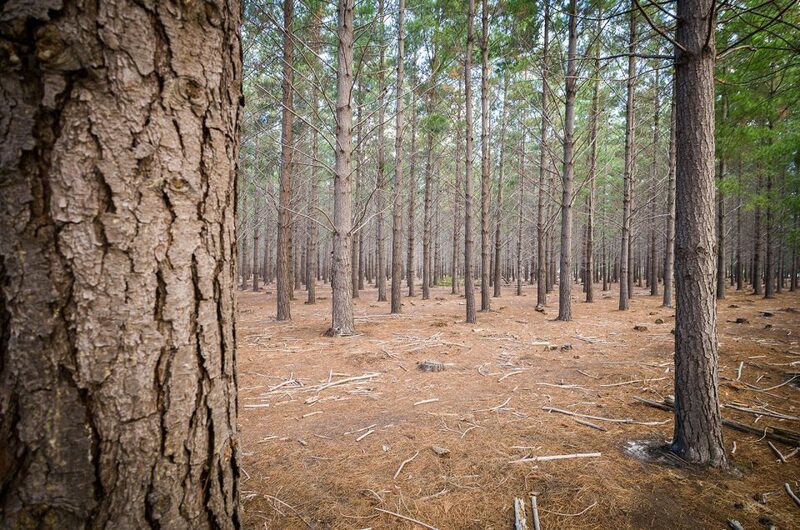 The government decided at the last minute to postpone the burn, citing the need to wait for the conclusion of a court case in which another 2.6 tons were an exhibit. The 2.6 ton seizure was made in 2013 and represents Malawi’s largest. Sentencing in the trial is set for mid June. Gule wamkulu dancers performed briefly after the president left. Gule wamkulu is a type of ritual dance performed by masked members of a secret society. The dancers represent spirits of the dead. 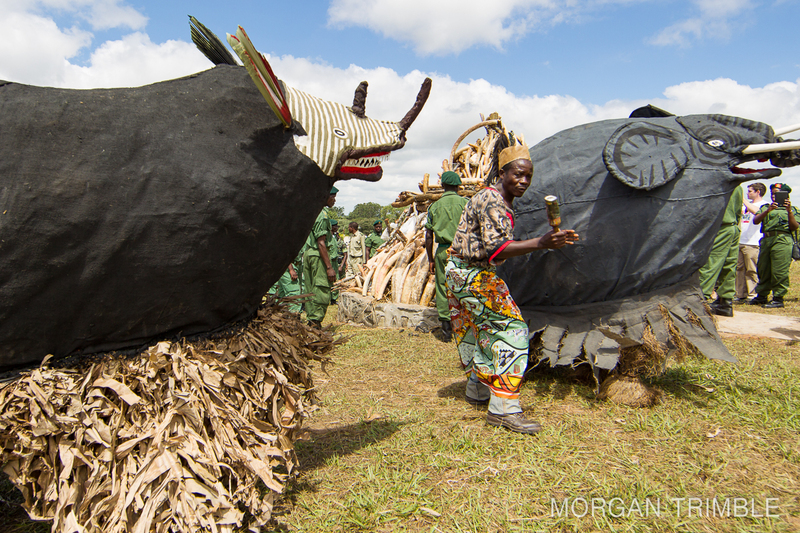 In gule wamkulu, animal costumes are traditionally worn at funerals. The animal costumes completely cover the dancers, and even their footprints are brushed away. The elephant is the most important animal in the ritual and usually represents a chief. The gule wamkulu dancers were not allowed to perform for very long before DNPW employees swarmed in to cover the ivory pile with a tarpaulin. 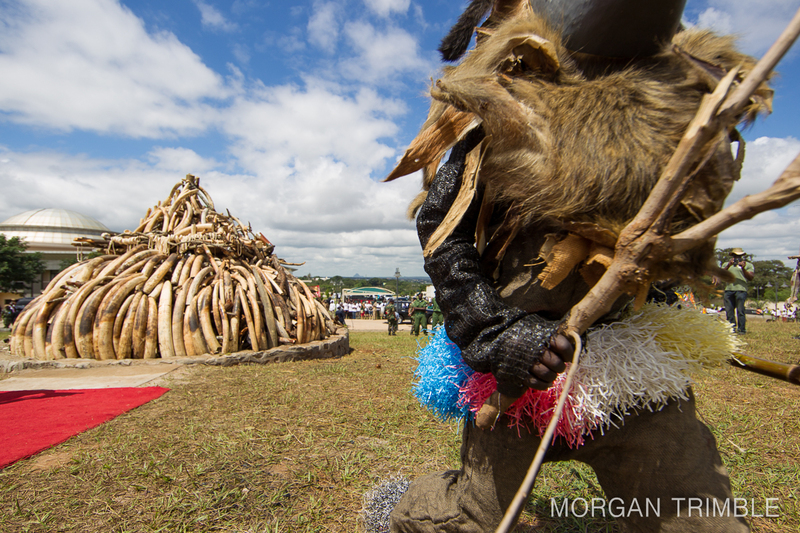 DNPW covered the ivory pile until the World Wildlife Day speeches were concluded. 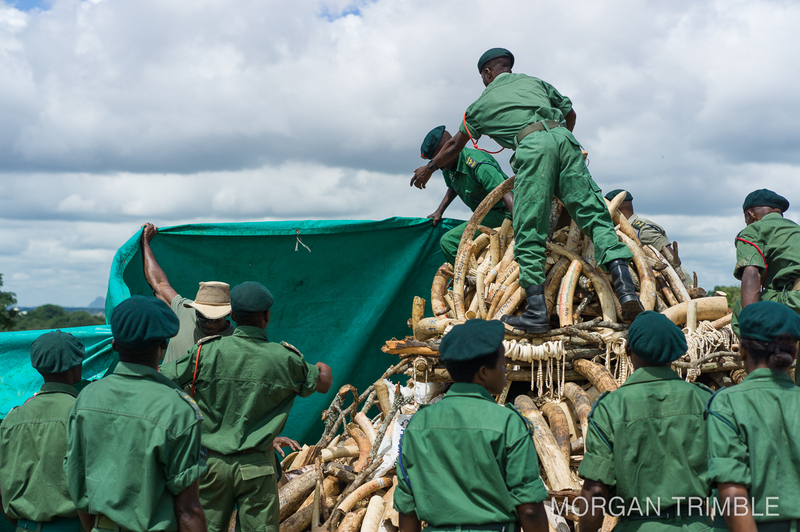 They were then left to recount and repack all four tons before hauling the ivory once more to a safe location. 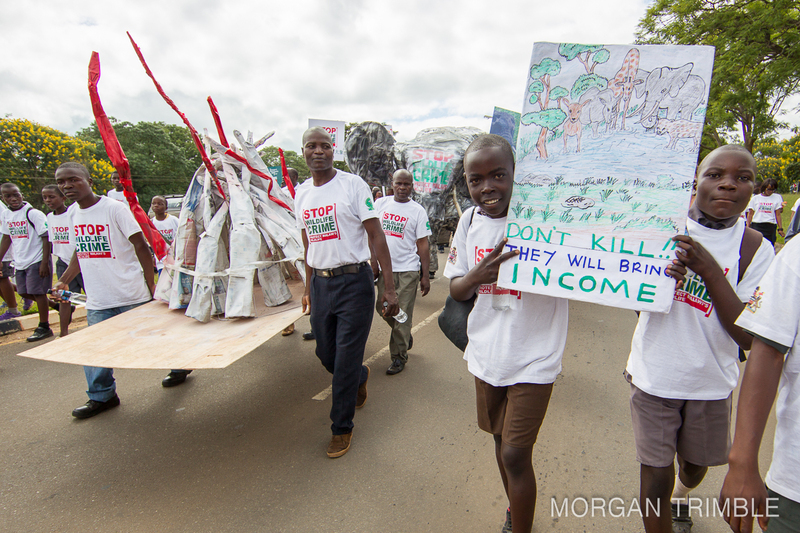 After the announcement of the ivory burn, and especially after the burn was postponed, debate raged in the media, online, and on the streets about whether a poor country such as Malawi wouldn’t be better off to sell the ivory. International news articles published that the ivory was worth an estimated $7.5 million dollars. 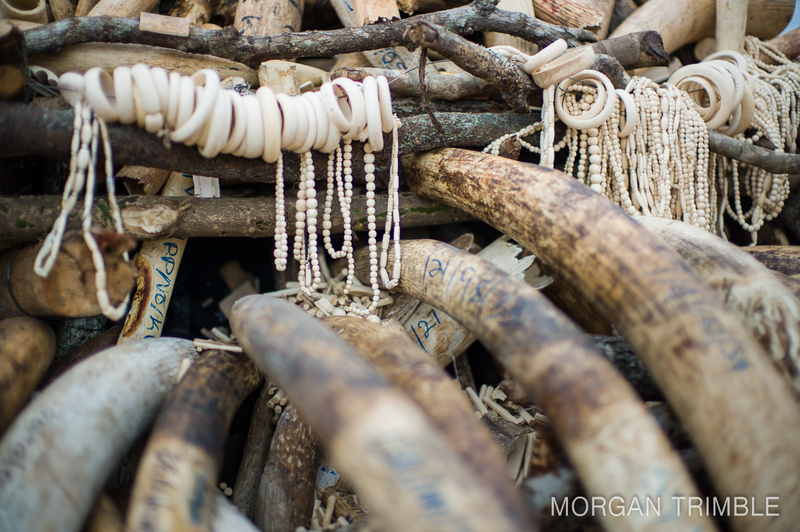 But the ivory is actually worthless, firstly, because there’s no legal market for ivory, and secondly, because most of Malawi’s stockpile is seized contraband ivory that can never be sold. Still, the sensational headlines were widely quoted and argued about, distracting from public discourse about important conservation issues such as the need to quash corruption, enact judiciary reform to ensure truly deterrent sentencing, and most importantly, reduce or eliminate demand for ivory in legal markets. With black market prices in Asia reportedly up to $2000 per kg, how long can wild elephants survive the pressure? The current rate of poaching is totally unsustainable for the continent’s population of perhaps half a million elephants. Some areas are harder hit than others. Forest elephants have lost two-thirds of their population in the past decade. How will Malawi’s elephants fair? Check out the article.